Everyone knows who Terry Fox is, and every school has a day where they celebrate not only Terry, but take some time to come together to raise money for his important cause…cancer. At St. Charles Catholic School we did just that on Friday, September 29th. As a whole school, we collected “toonies for Terry,” and under the direction of one of our Phys. Ed. 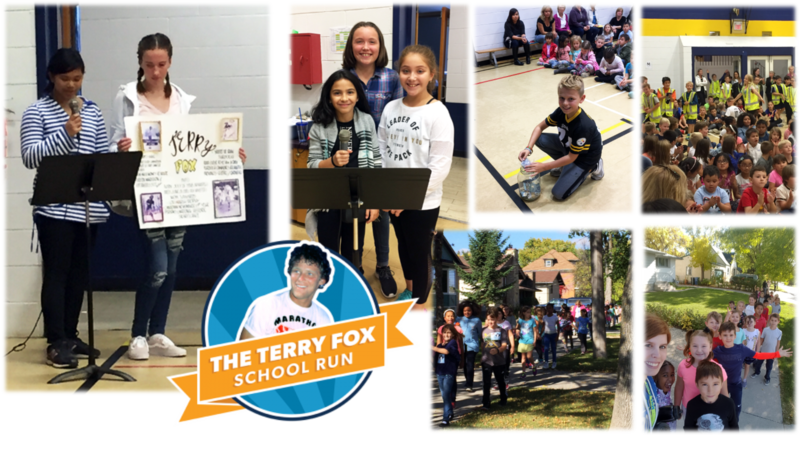 teachers, Mrs. Marsh-Hamm, we had a wonderful, uplifting assembly to get all of us ready for our annual Terry Fox Walk around our school neighbourhood. A special thank you to Alisa, Julia, and Lindsay, who spoke at the assembly, and to Rhea and Madison who spoke and shared a wonderful poster that they had made. Also, thank you to all the fabulous patrols who worked very hard to make sure everyone was safe at every corner and intersection, during our walk. What a fabulous day!